Taryn Rainwater - Division F International Speech Champion! certificate from Lt. 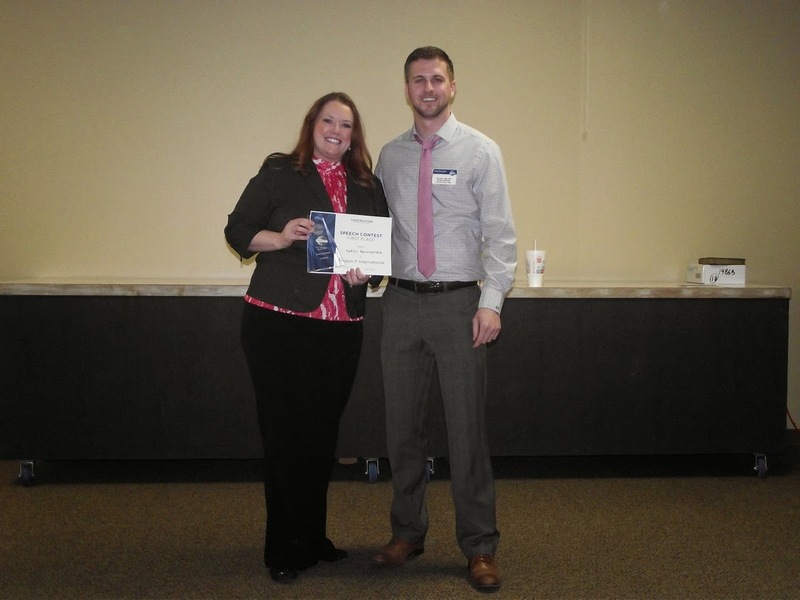 Governor Marketing Jef Conn.
Two weeks ago Taryn Rainwater of Llano Estacado Toastmasters took home the first place trophy for the Area 61 International Speech contest. This week she earned another first place trophy by winning the Division F International Speech contest. What's next? Taryn now advances to the District 23 International Speech contest in El Paso, Texas, in May. She'll compete against Toastmasters from all over New Mexico, Western Texas, and the Oklahoma Panhandle. Taryn ... YOU ROCK! We could not be more proud of you if we tried!